Automatic bead dispenser. Polish bottle holder. Thumb palette. Chances are, these items won’t be found in your current kit—but maybe they should be! I scoured product catalogs, walked beauty store aisles (and even watched a few late night infomercials) and discovered 10 uncommon and totally useful tools for techs. From helping careless clients protect their polish to making the job of applying beads quick and easy (really! 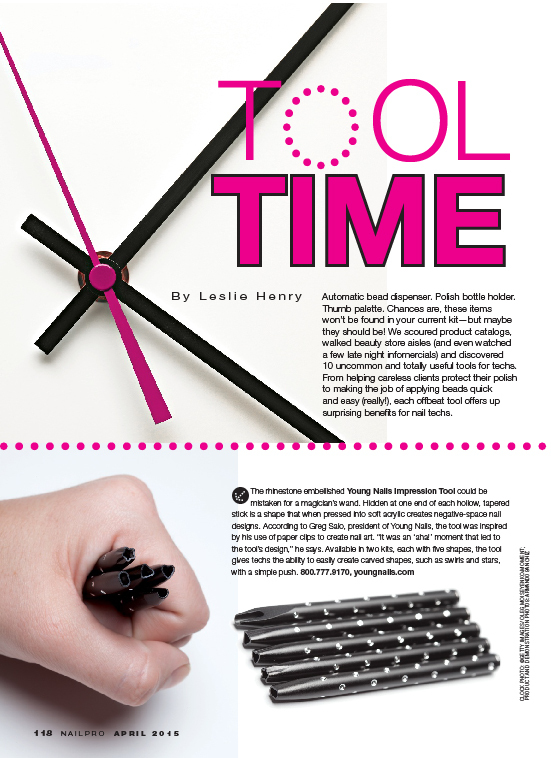 ), each offbeat tool offers up surprising benefits for nail techs.